I first here the news over PHPUGPH as one of the member posted the news. Details at GMANews.tv. According to the news, it was because of cancer. Really a shocking news. He is known for his patriotism. He even expressed it even on his songs / rap and even on his products (T-Shirts, etc). 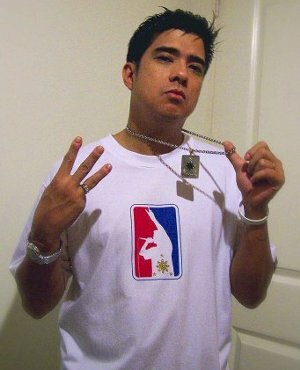 Rest In Peace Francis M.
He maybe dead, but his song will always remain in the heart of Filipino rappers. This entry was posted in News, Showbiz and tagged francis magalona, francis magalona died, francis magalona passes away. Bookmark the permalink. on this song, you can see the pioneering effort of Kiko to introduce a new music genre to the Filipinos: the ROCK RHYME. while this hasn’t caught on yet, we can say how groundbreaking all of Kiko’s efforts in the music industry, from introducing pop, underlining youth patriotism and now, the unification of the two warring group: the hiphop and the underground. Bro, sorry for the delayed response. I keep reading your comment over and over again and you know what? I can’t find anything to reply! Very well said! Speechless ba? Hehe. I’d rather welcome you to my blog! Anyway, thank you for dropping by. You got a very hot blog!